It’s official, according to the Department of Health (DOH), the world’s first dengue vaccine – Dengvaxia - will be available in the Philippine market starting the second week of January. 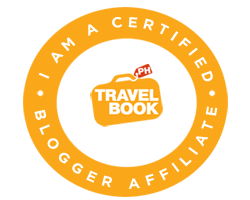 Dengue is a rampant health threat especially in subtropical and tropical countries such as Philippines. Dengvaxia is a live recombinant tetravalent dengue vaccine, which was registered for use in individuals aged 9-45 years in Mexico last December 2015. Moreover, it completed 3 phases of a clinical study program with 40,000 participants, proving its efficacy as dengue prevention. While it’s true that prevention is better than cure, the first step you can do to protect your family and yourself from this deadly disease is creating a mosquito-free home. Strike Multi-Insect Killer Spray is here to help you. Strike Multi-Insect Killer Spray is a fast-acting multi-insect killer that has a water-based formula which effectively kills mosquitoes and other insects. A clinical study shows that Strike provides a fast insect knockdown – within 10 minutes all 50 mosquitos under experimental set-up were immobile – mainly because of its triple action formula. Also, Strike has low toxicity thus it is safe for people, pets and plants. Strike is also environment-friendly unlike other oil-based insect killers and it contains no Chlorofluorocarbon (CFC). Its natural orange scent will make your house smell good and leaves no stains on floor, glass and furniture surfaces. Strike Multi-Insect Killer Spray is available at 300ml can for SRP P130.00 and 600ml can for SRP P246.00 at SM Supermarkets and other leading supermarkets nationwide! 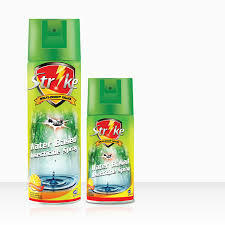 Strike also comes in other variants like Strike Coil, Mosquito Repellent, Strike Mat, Strike Liquid Mosquito Electric Repellent and Strike Patch for kids. Para iwas dengue, Strike agad!